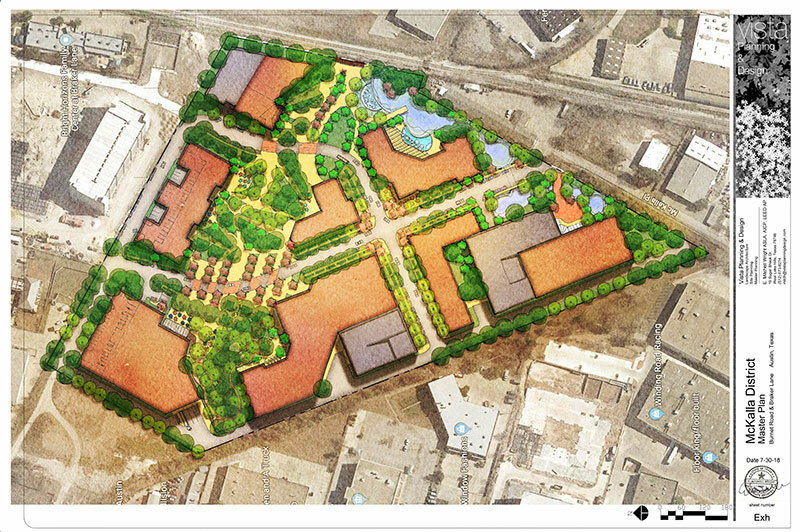 The regenerative vision for the McKalla District in North Austin, Texas calls for the once urban industrial area to transform into a vibrant ecological district. 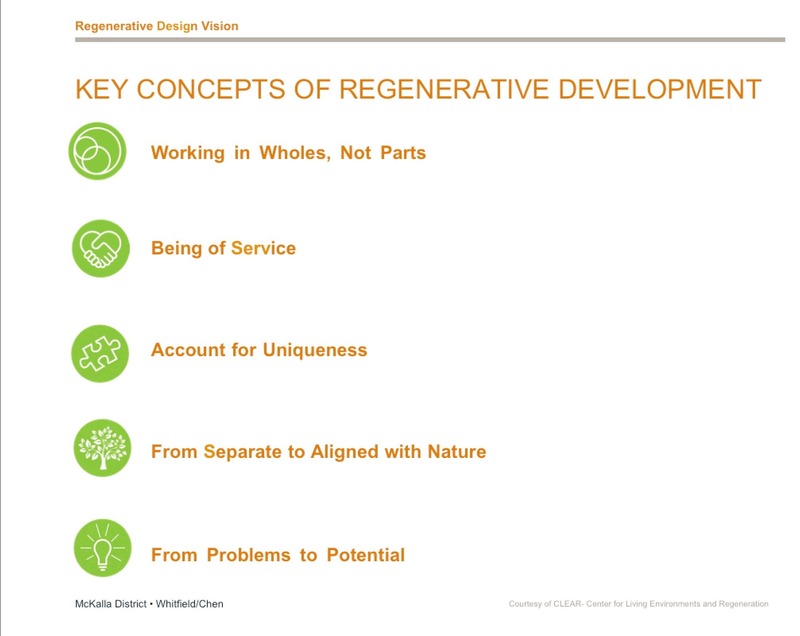 The five key concepts of regeneration- Working with Wholes, Being of Service, Accounting for Uniqueness, From Separate to Aligned with Nature and From Problems to Potential – won over the development team and were key drivers in the programmatic and schematic design that was submitted to the City of Austin. This regenerative mindset conceived an intergenerational campus that includes affordable housing for individuals, families and seniors. Several “outdoor rooms” will act as social and entertainment spaces and will allow resident artists and students to have shared “outdoor learning and creation labs” that will help fortify the concept that humans can be a positive catalyst in the environment. 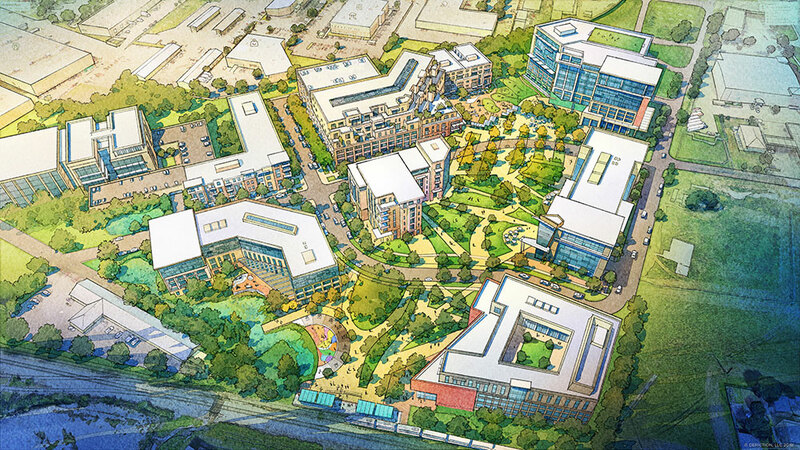 The district, if built, will be a transportation hub connecting the larger whole of Austin to the potential that will be felt from a community that supports affordable housing and intergenerational wellness, local artisans and entrepreneurs, fosters alternative education and is a model for integrated natural systems.